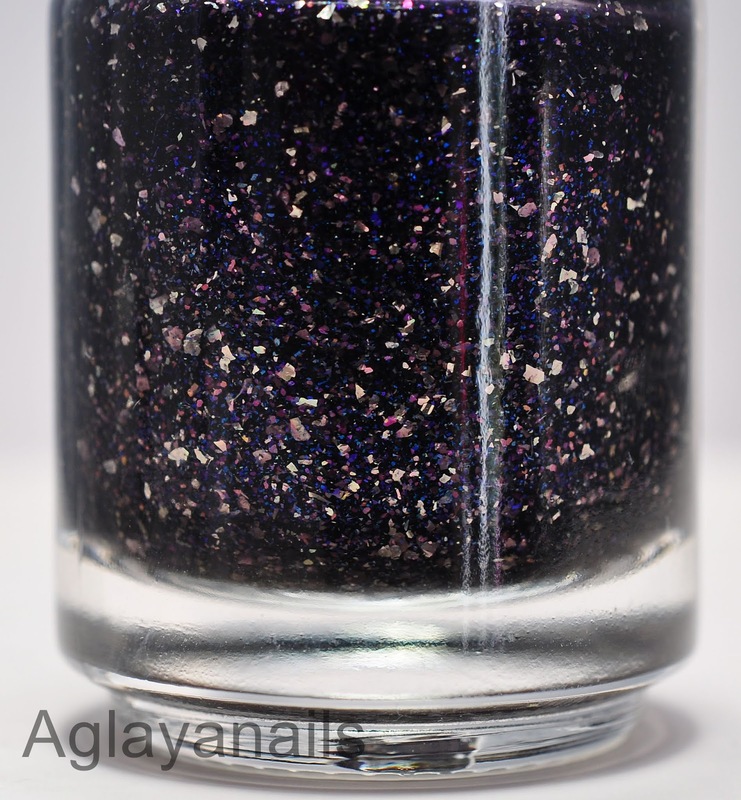 Stormcage has a very dark, almost black purple jelly base filled with flakie glitter in various shades of purple, from very light to almost blue. 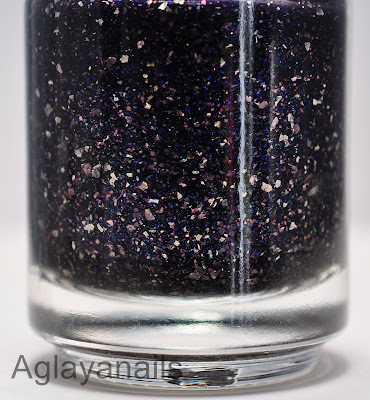 I used three coats and finished with one coat of KBShimmer Clearly On Top. 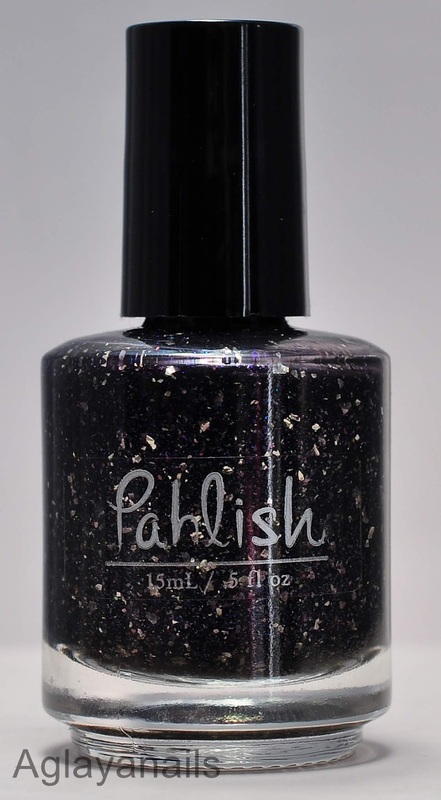 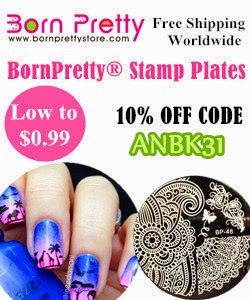 Stormcage is no longer produced, but other Pahlish polishes are available on their own shop and at Overall Beauty.